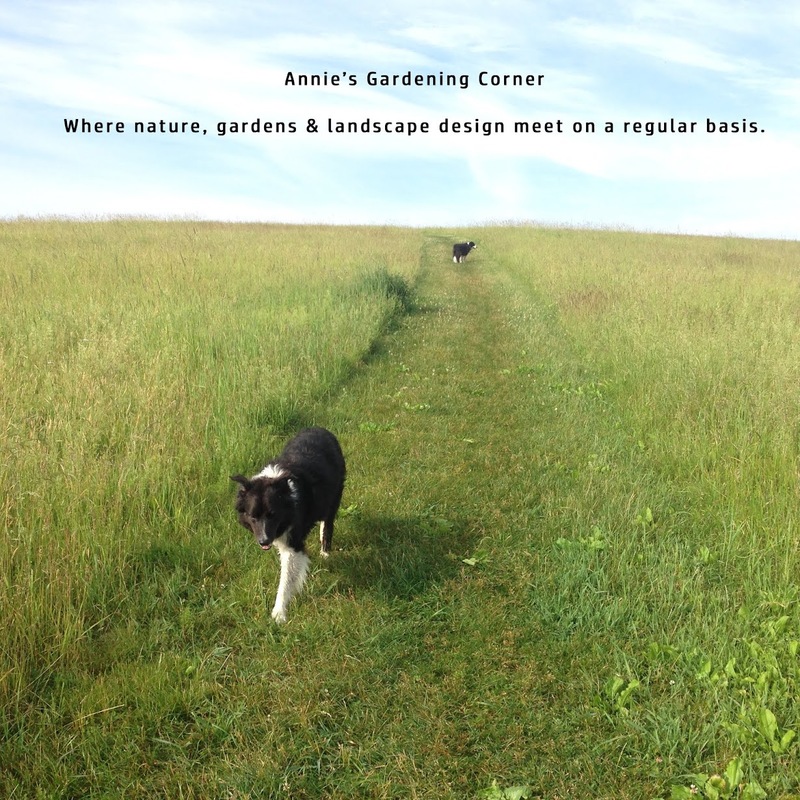 Annie's Gardening Corner: What is thriving in your garden? Today's forecast is not looking promising and the rest of the week is predicted to be 'a bit dismal' as well. That being said, there are a few things doing spectacular in the garden. 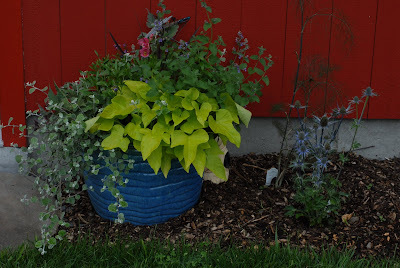 A few weeks ago, this is how one of my planters looked - very healthy, but much smaller in comparison to where it is today. 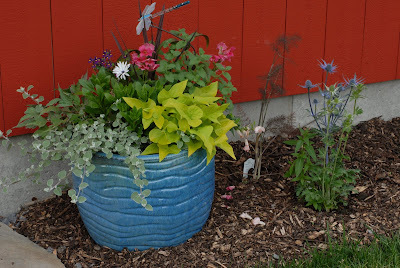 Photo taken 6/22/09 (Far right - Eryngium 'Sapphire Blue'. I wanted to point out another amazing perennial. It is called Eryngium 'Sapphire Blue'. Its common name is Sea Holly. I have attached the link for the patent information from Blooms of Bressingham. http://www.bobna.com/plantlist/eryngiumsapphireblue.asp This will give you the growing requirements. It is a traditional staple in British borders but performs exceptional in this climate. Also in the photo is bronze fennel. This is a newly established plant bed, mainly for our figs that we planted this year. It has great southern exposure and is very protected. Here is a photo taken in today's drizzle. As our good friend, Artie must be saying this morning, "Is it greybreak yet?"